"Very Inspiring". " Fantastic". "Looking forward to more" - these were just some of the comments made about Donald Blue's workshops, which were held on Wednesdays 8th and 15th August. 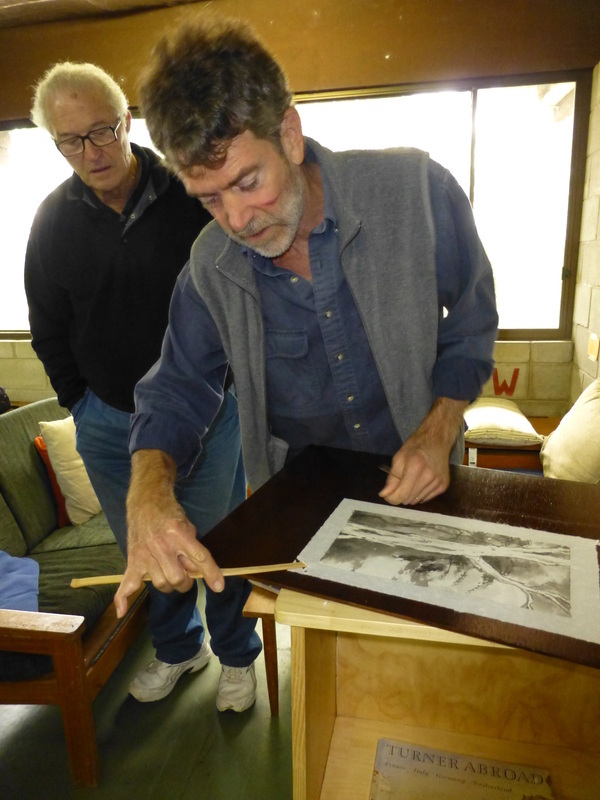 The “Four Treasures’ and the “Four Gentlemen” and the challenges of scale, various qualities and different papers and brushes, plus more, kept the 12 keen participants busy over the two days. 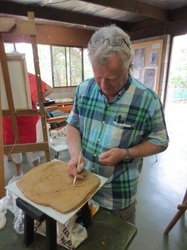 HDG-Artists' member, Donald, is internationally known for his work and participants appreciated his generosity in sharing his knowledge and expertise. 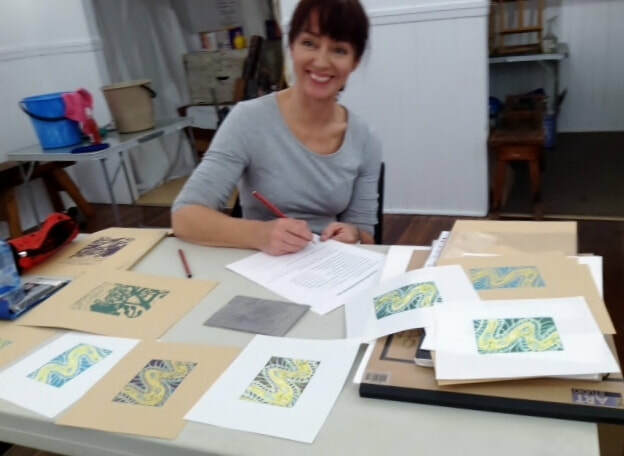 Wednesdays 6th and 13th June saw an enthusiastic group attend Joanne Kerr's introduction to Lino printing, conducted at the HDG-Artists' Studio. 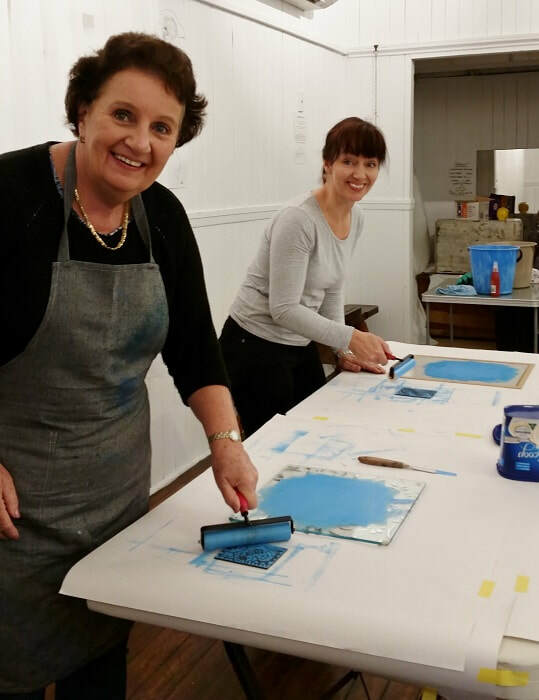 Joanne, an experienced print maker/ artist & HDG-Artists Member, ensured that her students thoroughly enjoyed the two workshop series! On Saturdays 19th and 26th June, popular tutor/artist & HDG-Artists Member, Wendy Allen, conducted an informative, two part series of workshops which focussed on drawing. 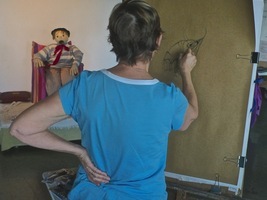 Wendy believes drawing is "not only an essential for good arts practice, but is a monstrously exuberant medium for what goes on inside us that is unique". The first Workshop covered what we think we should know - proportion, perspective, shading, anatomy in a nutshell whilst day 2 concentrated on finding your own style. 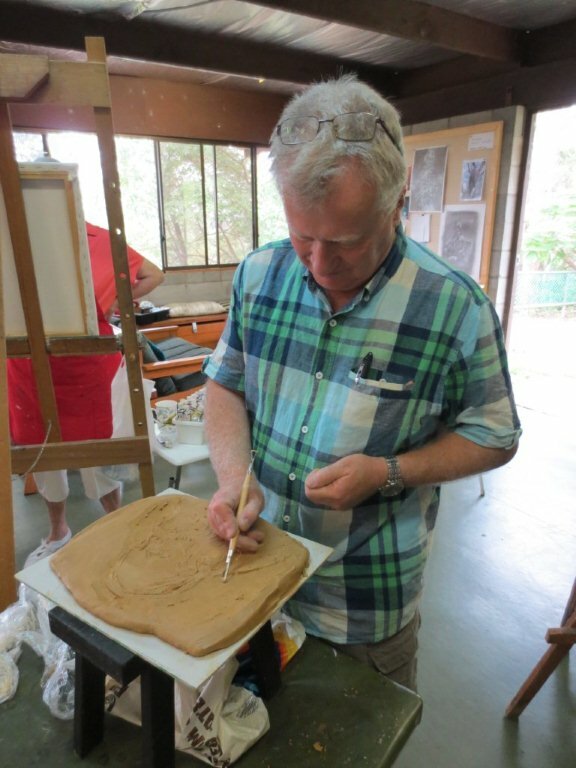 Derek, a highly experienced clay worker/artist & HDG-Artists Member, conducted his always popular clay workshop on Saturday April 28th. 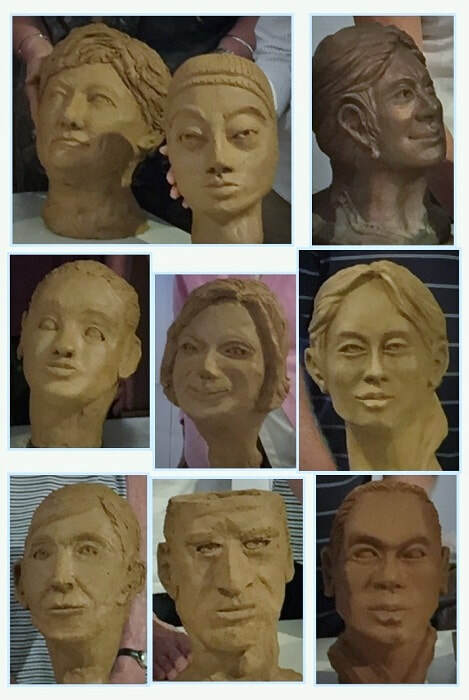 Participants learned how to successfully create a portrait in clay, using photographic references (using different photographic angles of the same subject). Wendy Allen shared her experience and talent at the first of her Wednesday workshops on life drawing. 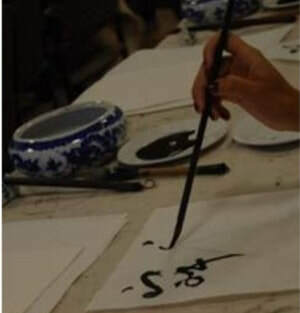 Wendy began the class by brain training. Teaching the brain how to really understand a line, so it more easily and confidently transfers to the page. 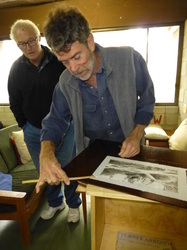 We then moved on to how, as an artist, you judge your own work. 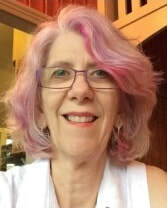 She had a good technique for understanding your responses to your own work, so you can more easily identify what works for you. This led on to each of us working to identify the best mediums, grounds, and styles for drawing. 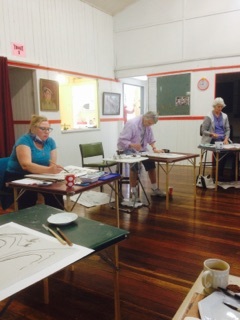 We then did an exercise which helped identify your drawing style intuitively. It was quite powerful and involved animals! After the break, we then applied what had been learned. The techniques apply to life drawing, but can also be applied in a more generalised way to refining your own individual art practice. 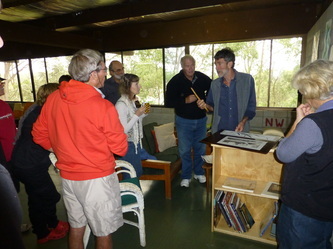 All in all, it was a very valuable workshop. Part 2 is on June 18, and you can still come if you didn't do the first one. Obi-Obi was the model for this first one. There will be a real model on June 18. 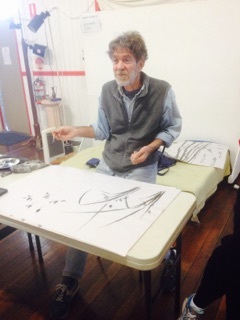 Above: During the coffee break at an untutored life class workshop, Donald demonstrates a technique he has perfected that takes the wrinkles out of thin paper after you have completed the artwork. It involves a double layer of paper, the underneath one providing the stretching power required to flatten the top layer. This is a technique Donald learned during studies in Japan. 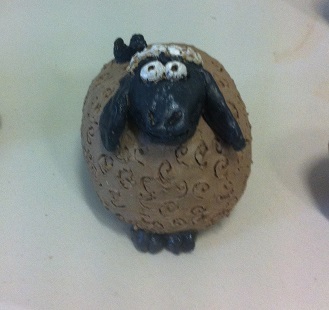 And below, Derek works with clay. 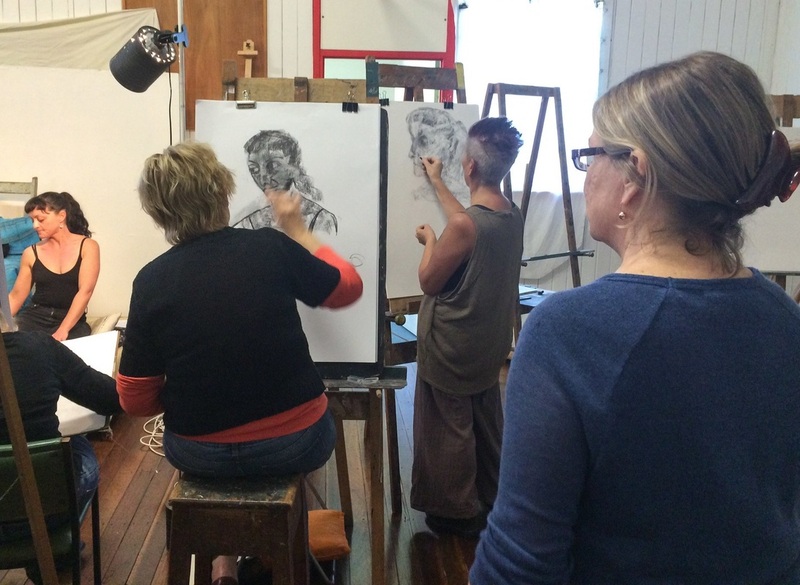 Interest in the portraiture workshop series was very high and both of the consecutive sessions filled to capacity. 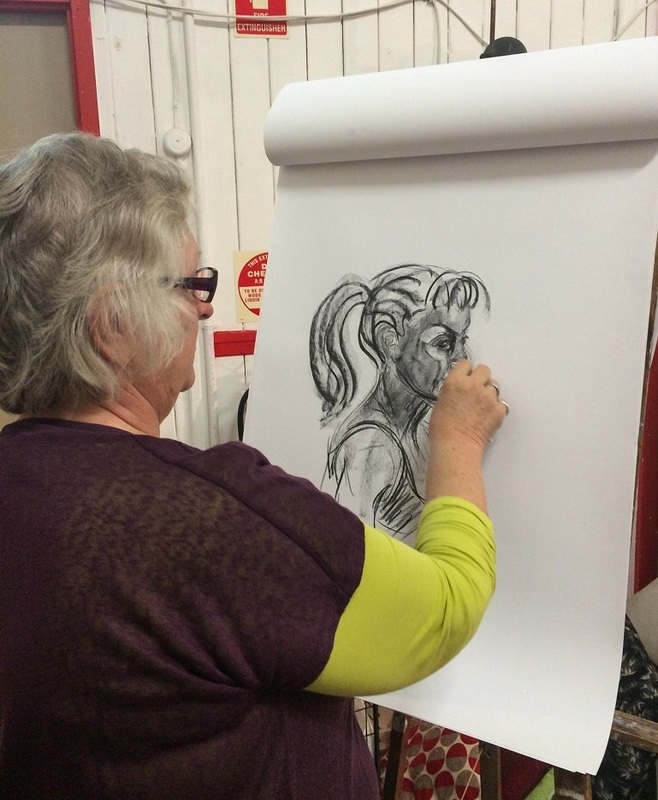 Under Frances's gentle and insightful tuition, artists composed several charcoal drawings of the models. 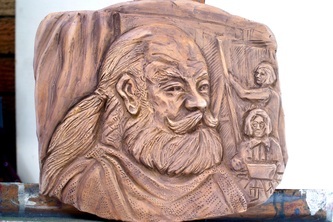 One of the techniques taught was to start the drawing by blocking in the general shape of the model with the charcoal, moving from the core to the outer edges, then adding more complex details later. 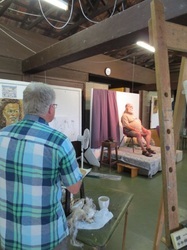 Many participants found that, by working in this manner, that they were able to effectively capture the model's mood. 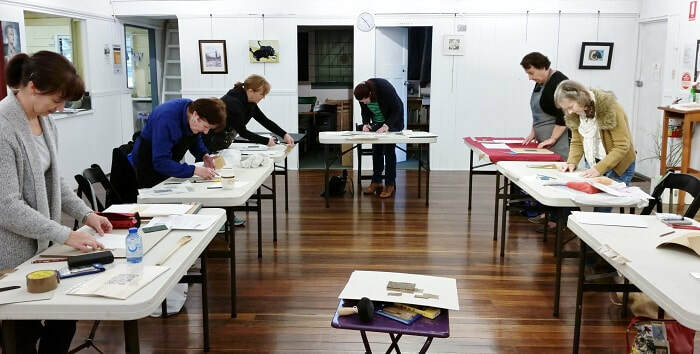 The course was a great success, indicated by the very noticeable difference between the participants' first drawings and their final drawings. 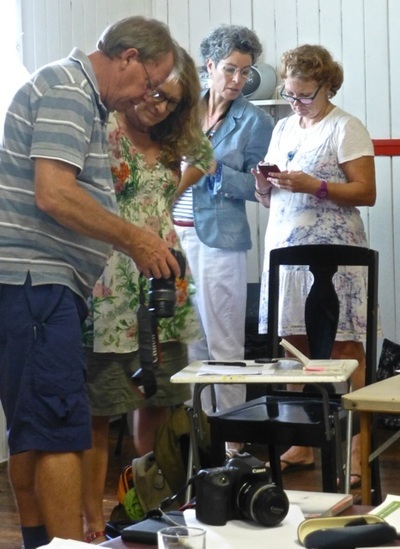 With a focus on digital photographing, Kevin expertly led participants through the topics of: cameras and controls, scanning artworks, lighting, tripods, digital printing and image processing. 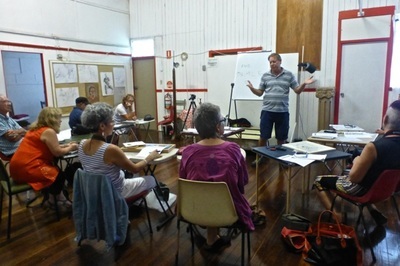 The main topics included areas such as focus, focal length, colour balance and file types and sizes. All who attended gained valuable information for not only photographing their artworks but also about general aspects of photography. The photos below were taken at the second workshop. 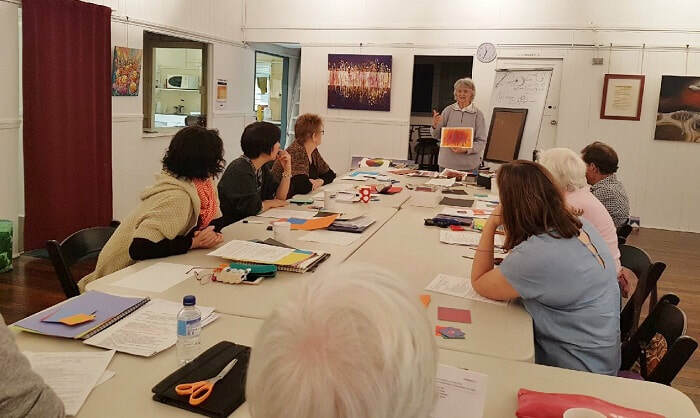 A small and enthusiastic group of artists attended this inspiring workshop. 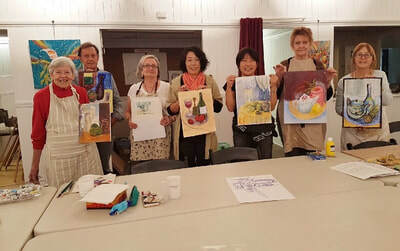 Although some of the participants were relatively new to using the pastel medium, several lovely artworks were produced. One particular participant had not used the medium at all, but, due to Joan's expert guidance, was extremely happy with her finished landscape! 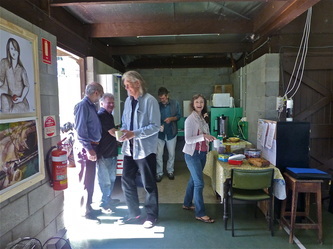 Unfortunately, there are no photos of this workshop. Sixteen participants enjoyed a fun and informative morning at this recent workshop. 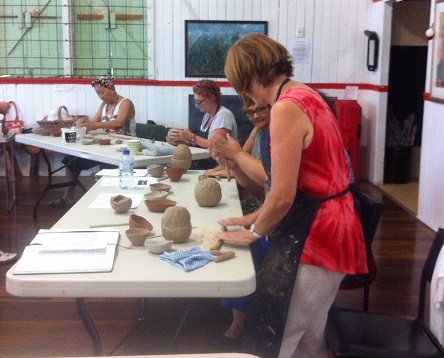 The first task was to make 3 pinch bowls from 3 different types of clay. This was followed by the construction of two reasonably identical pots which were then "glued" together to make an egg shape. 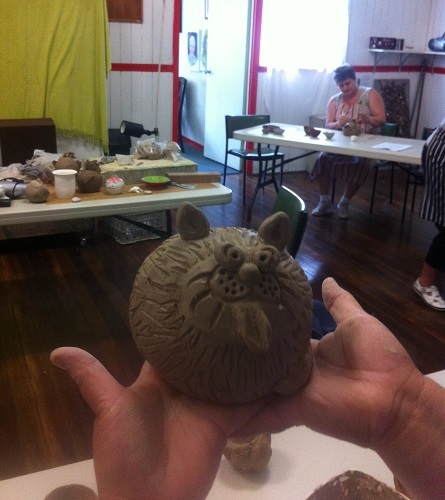 From this basic shape, participants then drew upon their creativity to transform the "eggs" into functional or decorative pots, ready for firing. 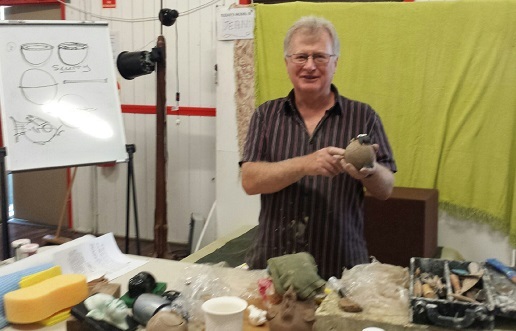 Under Derek's expert tuition each participant produced four finished pieces, ready for firing. 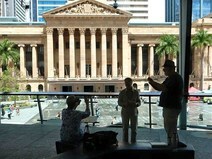 On the 1st and 3rd Wednesdays of each month, keen artists meet at various locations around Brisbane to paint and draw in the outdoors. 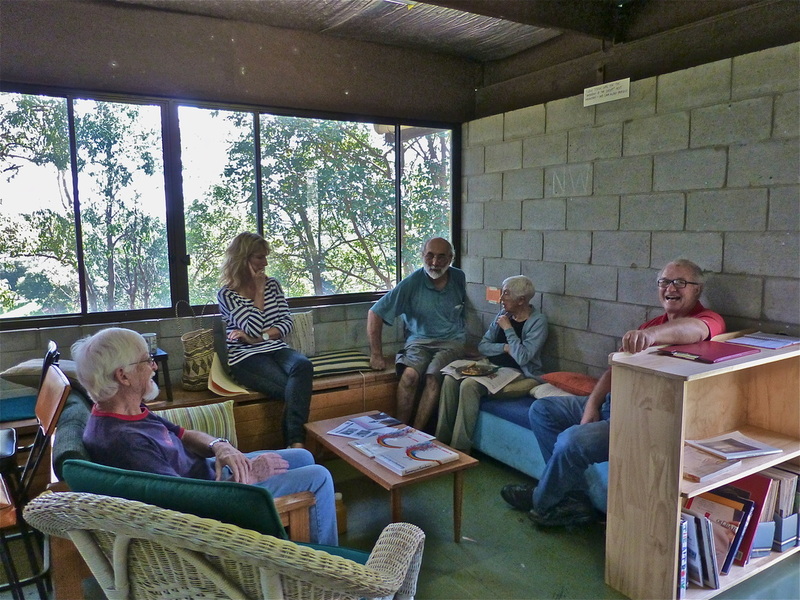 If you are interested, please arrive at the scheduled venue (see below) at around 8.30 am summertime and 9.00 am winter time. Please phone the convenor to advise attendance before 8 am of the scheduled date. Meet in the covered "Red Shed" - toilet, water & BBQ facilities are all available as is plenty of parking. 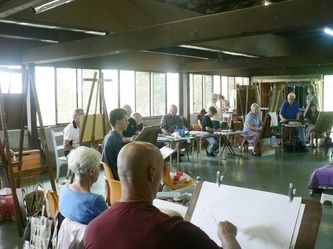 On Saturdays 16th & 23rd September, Master Pastellist, Penelope Gilbert-Ng, conducted pastel workshops for the HDGA. 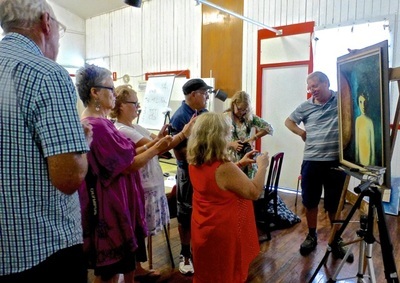 Penelope demonstrated a technique which was new to most of the students - i.e that of using a watercolour underpainting on pastel paper, prior to overlaying with the pastel picture. 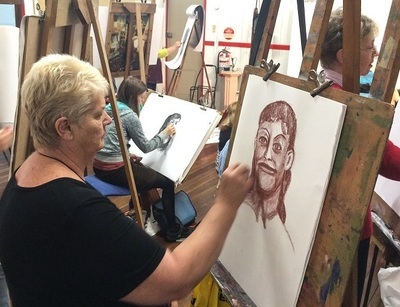 By using this method, and following Penelope's great step by step demonstrations, everyone was able to complete two separate pastel paintings over the course of the two workshops. 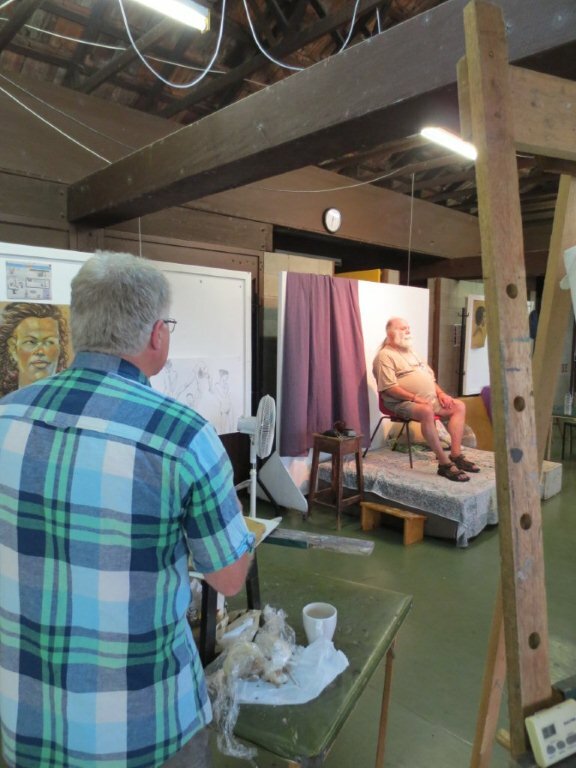 The first subject covered was a landscape and day two concentrated on clouds. Well known watercolour artist, Maria Field, conducted two consecutive workshops for the HDGA on Saturdays 5th & 12th August. 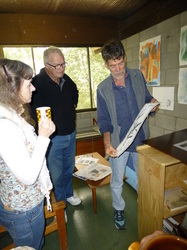 Both workshops were thoroughly enjoyed by the participants. 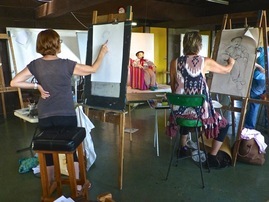 Over the duration of the course Maria covered a variety of techniques, from basic to more complex. 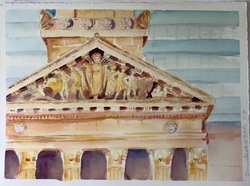 Some of the techniques taught were flat washes, graded washes, wet into wet and use of dry brush. 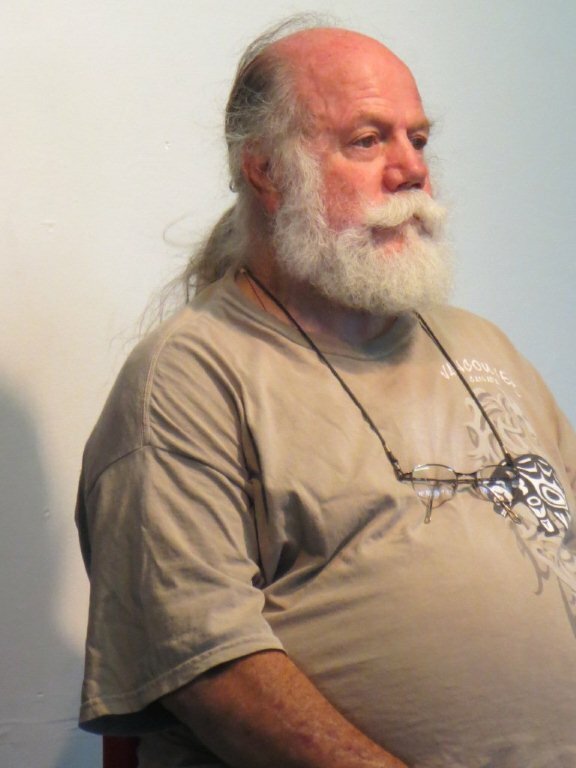 Of particular interest was the technique known as pearling which allows for a strong use of positve and negative space. 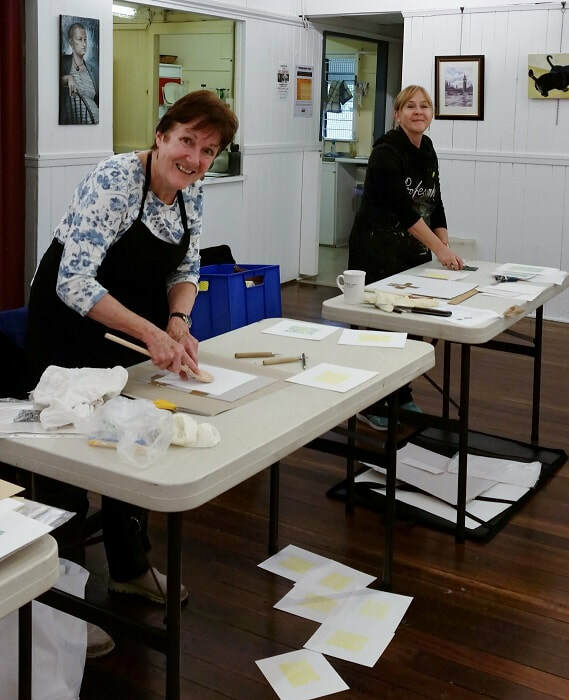 She also provided information on the best type of watercolour paper to use, the different effects obtained by pigments and the importance of recognising opaque and transparent colours. On June 7th, 14th and 21st Wendy Allen conducted a series of workshops aimed at introducing beginners to the fundamentals of art and also at motivating more experienced artists. 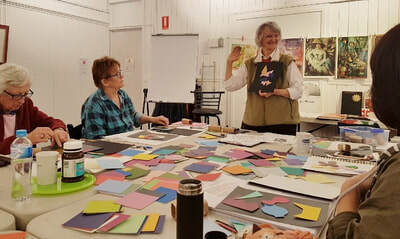 The series was very successful with Wendy's style of teaching making each workshop fun as well as informative and memorable! 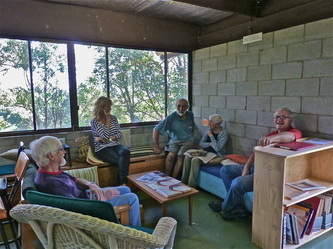 Topics covered were The Big, Bold, Beautiful Basics, How to Know What you are Doing and How to Progress into the Future. 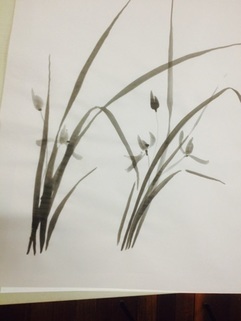 Some lovely still life paintings were produced during the series.